DC Entertainment's ‘Darkness & Light’ art exhibit is part of an effort to raise money for famine relief in Africa. Sometimes heroes need to do something more profound than punching out the Joker. And sometimes there’s an art to it. That’s why the men and women of DC Entertainment – the legendary comic book publisher of such superhero mainstays of film and television as Superman, Batman, Wonder Woman and Green Lantern, among others – lent its Justice Leaguers to the We Can Be Heroes campaign to raise awareness and aid to help combat a very real world menace: the deadly famine crisis in the Horn of Africa. DC kicked off a traveling series of awareness- and fund-raising exhibitions last month with a debut showcase in the company’s brand new offices in Burbank’s sleek The Pointe, where DC co-publisher and renowned comic book artist Jim Lee told PopcornBiz about their effort to save lives and inspire compassion. Lee is himself a comic book icon who broke out in the early ‘90s as the artist and later writer of Marvel’s “X-Men” before co-founding Image Comics and his own Wildstorm imprint – with his signature creation W.I.L.D.Cats before merging his interests with DC and illustrating wildly popular runs on Superman, Batman and, currently, the monthly Justice League book that served as the flagship for “The New 52,” DC’s line-wide re-launch – complete with revamped continuity and many freshened-up looks for the classic heroes, which Lee had a hand in designing. Here it is, our first teaser for the third and final chapter of Christopher Nolan's Batman saga. The film, which stars Christian Bale, Michael Caine, Tom Hardy, Liam Neeson, Anne Hathaway, Joseph Gordon-Levitt, Gary Oldman, Marion Cotillard and others, opens July 20, 2012. 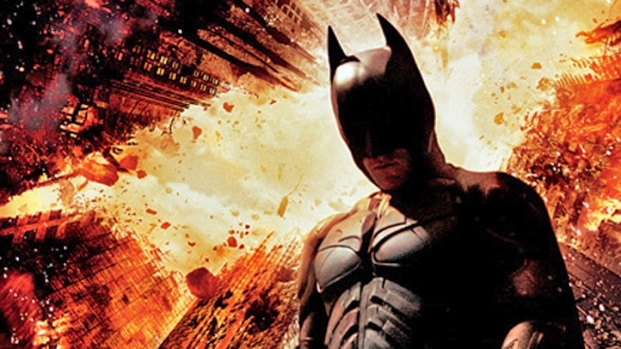 For “Darkness and Light,” Lee provided a specially crafted piece of art featuring a longtime favorite, Batman, highlighting a large profile close-up of the cowled Dark Knight with a spray-painted African-inspired color scheme. “I wanted to do something fairly somber that tied in thematically with Africa, so I chose the colors of Africa: the black, red, green and yellow,” he said. “I kind of toyed around with doing something more expressly connected to the crisis in the Horn of Africa, but I decided to do something on a more subtle level. As you can tell from this whole exhibit, it's a wide range of art and types of pieces. Other artwork in the diverse exhibit was crafted by well-known artists including Kiyoshi Nakazawa, Martin Ontiveros, Mike Palermo, Nathan Sawaya, Bwana Spoons and Amanda Visell, and features a roster of DC heroes and villains both traditional and eclectic – everyone from the marquee names of the Justice League and baddies like the Joker, to second-stringers like Batgirl and more obscure characters like Plastic Man. 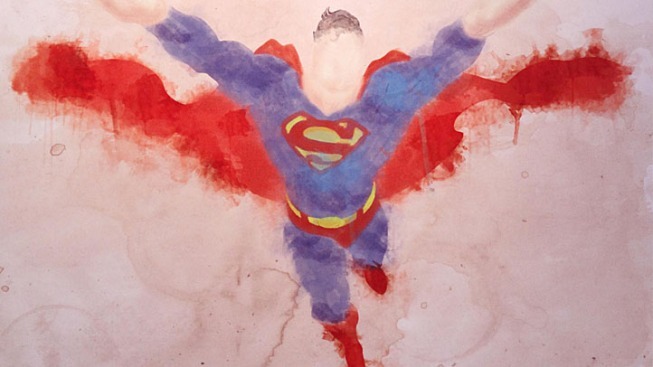 Several of the pieces pay direct and indirect homage to famous pop cultural tie-ins, like the “Super Friends” cartoons, the Lynda Carter “Wonder Woman” TV series and director Christopher Nolan’s Batman films. 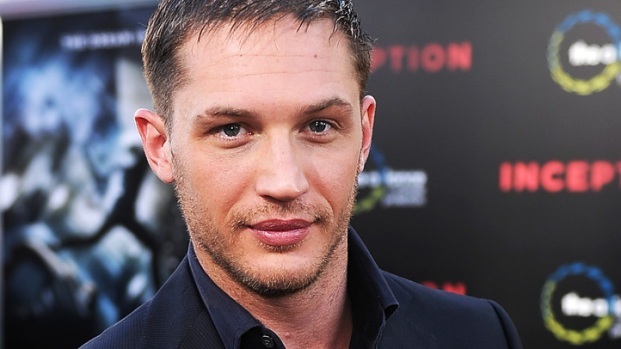 Tom Hardy, who plays Bane in the new Batman film, chats about working with director Christopher Nolan on "The Dark Knight Rises." What does he think about fans filming the city scenes on the sidelines and then posting it online? The exhibit will hit what will likely be its highest profile location July 13-15, when it will be on display at the Michael J. Wolf Gallery in San Diego, during the heavily attended Comic-Con International, followed a multi-city tour in as-yet-to-be-announced cities. Meanwhile, singer and longtime comic book fan Daughtry will be promoting the We Can Be Heroes campaign with an acoustic version of his song "Rescue Me" available on iTunes with all profits going toward hunger relief efforts via Save the Children, International Rescue Committee and Mercy Corps, and he'll be singing the song in concert appearances with a video backdrop of the art images. For more information about the We Can Be Heroes campaign and how to contribute, visit www.WeCanBeHeroes.org.